Shell began operations in Indonesia more than 100 years ago and can look back on a rich history with Indonesia. At Shell Indonesia, we believe that diversity is key: it will help our drive to innovate and make sure that our employees’ ideas will travel. We offer an exciting platform from which you can deliver and excel. Shell Indonesia manages business operations that include marketing and trading oil products directly as well as through its appointed distributors. In 2006, Shell started its Commercial Fuels business in Indonesia: we provide bulk fuels and related technical support to the Industrial and Transport Sector. Shell Indonesia is also planning to establish a significant presence in the upstream sector. Supervise the Blending Process of Lubricants, Process Oils, Specialty Products accordance with Quality requirement, achieve the daily production result as per plan from production planner, achieve KPI target in HSSE, Security and Environmental. Coordinate daily morning meeting with blending team, joint meeting or lead meeting with planner, production, quality and maintenance. Ensure all blending production line running all at time need, with sufficient man power, manage all blending production line to achieve the target with limited resources. Perform receiving material using vessel . Pro-actively drive performance of OPEX & CAPEX program delivery through business partners to agreed outcomes (cost, time and quality), meeting HSSE and Retail business objectives. Share the long-term capital plans with and strive for continuous improvement in the construction delivery in terms of quality, cost, cycle time and HSSE improvement in alignment with the Global Engineering teams. Develop and manage key stakeholder relationships with other Network functions, Sales & Ops, and other external third parties and pro-actively communicate with them in order to deliver the program through the business partners in an integrated way. Experience in managing internal and external stakeholders and collaborate with stakeholders; and be able to exhibit skill of being nice and yet firm. 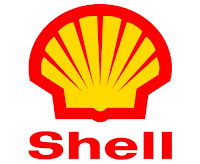 Thanks for reading Shell Indonesia Jobs: Blending Supervisor & Engineering Coordinator. Please share...! 0 Comment for "Shell Indonesia Jobs: Blending Supervisor & Engineering Coordinator"